We’re living in a time where knowledge is becoming more and more accessible. Don’t know how to change a tire? Watch a YouTube video. Scouting great places to get pizza in New York? Pull up your Yelp app. Curious about the history of the French Revolution? Check out the Wikipedia page. This democratization of information is helping level the playing field for many Americans, providing access to tools and resources that can help them improve their lives. When I started Next Step, my primary goal was always to help people into a home. Through all of the programs, partnerships and relationships we’ve built, my thoughts always came back to people and families walking into their new homes for the first time as successful homeowners. Today, Next Step is adopting another approach to helping individuals achieve those dreams – providing self-guided education for those looking to purchase a new prefab home. With an expanded knowledge base, these buyers can make the most informed purchase decisions for themselves and their families. Our new website provides tools and resources for those that are house hunting – and highlights some options that they may not have considered before. 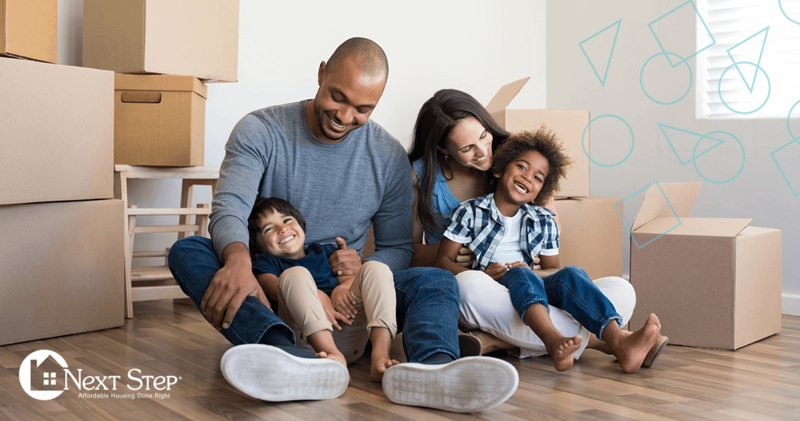 Home buyers can sign up to receive free information, updates and resources to help navigate them in their home buying journey. We’ve added new, interactive tools that can help buyers better understand the total cost of owning a home – and the value of energy-efficiency upgrades. Videos show the advantages of factory-built homes for buyers, and tell the success stories of Next Step families. Home buyers can also sign up for our Factory-Built Homebuyer Education Course, hosted on the eHome America platform. Originally a part of our SmartMH program, we’ve now made this course open to anyone looking for more information about purchasing a prefab home. At any time, folks can hop online and sign up for this course – where they will learn the basics of factory-built housing, how to shop for a home, financing options for their home, and how to care and maintain for their home. I can’t wait to see how Next Step advances our vision and mission in the next decade. For now, to explore our new site, and check out the new features and resources on our website.